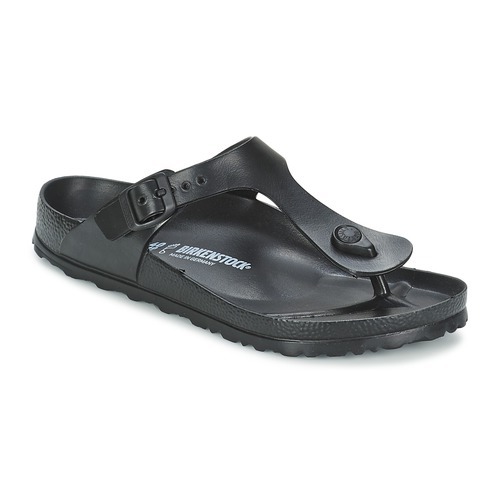 Walk through the summer in comfort thanks to the famous between the toes Birkenstock sandal! 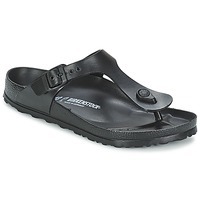 We love its shock absorbing anatomic sole and adjustable strap. This model goes well with all of your outfits! Bought these as I didn't want to ruin my black patent ones on holiday, I ended up wearing these the whole holiday and walking 12 miles in them one day. Super comfortable, the rubber didn't hurt my skin, wont wear flip flops again now that I have discovered these. I love these, they are so comfortable and versatile. I have bought the same in other colours. They are light, soft and waterproof. I wear them everywhere - even to work.